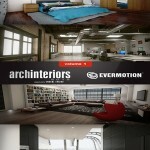 The collection consists of high quality trees models and a complete Unreal Engine scene. 60 models: 54 trees + stones, bough, trunk and fern models. All foliage models are animated. 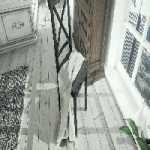 Added 12 animated cameras using new sequence edtior. Trees have vertex paint for Unreal Engine. Each model has at least 1k textures for leaves and 2k textures for trunk. Trees included in this collection come from northern hemisphere climat zone. This collection consist of European and North American species. Grass and grass material are included in the scene. Project uses Mesh Distance Fields (long computation time ~1,5h). 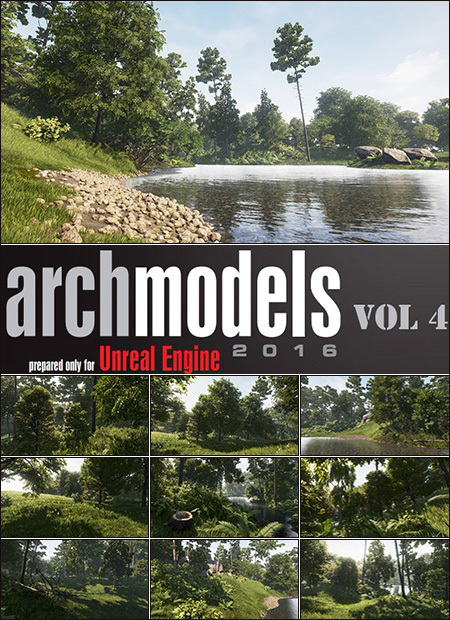 Archmodels for UE vol. 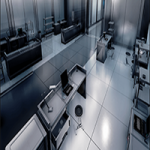 4 uses the Unreal® Engine. Unreal® is a trademark or registered trademark of Epic Games, Inc. in the United States of America and elsewhere. 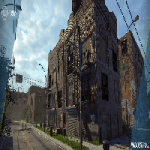 Unreal® Engine, Copyright 1998 – 2015, Epic Games, Inc. All rights reserved.